Adrenasoft Studios Pty Ltd was founded in 2017 by two university graduates from QUT Brisbane. The driving force for our team has always been to create a fresh, intriguing and exciting game that catches the player's imaginations, while also providing thrilling new gameplay experiences that will challenge and entertain anybody who plays. Even though we began by simply asking ourselves, "What game would we love to play with our friends and family?" The amount of design, experimentation, thought and dedication that we have poured into creating the best possible experience within our constraints is something that we're enormously proud of. We began creating Primal Pursuit while studying at QUT (Queensland University of Technology), for their renowned games development bachelor which produced the team behind Fruit Ninja. During the last year of the degree (2016), we created and released an early version of the game to GameJolt where it soon became featured, receiving a decent amount of views and plays, along with a positive player reaction and garnering many great Let’s Play videos on Youtube. Our mentors at QUT said “It was the most successfully released game to come from the degree by far”. We were ecstatic with this outcome because we knew of all the challenges that our group faced along the way. Our team was the smallest throughout the degree with merely three members, whilst all the other teams had five to eight developers. Our artist (Tom) and programmer (Thomas) were solid as we were friends since the age of five. However, three separate game designers joined and left our group for various reasons (one pursued his career as a political campaign manager). 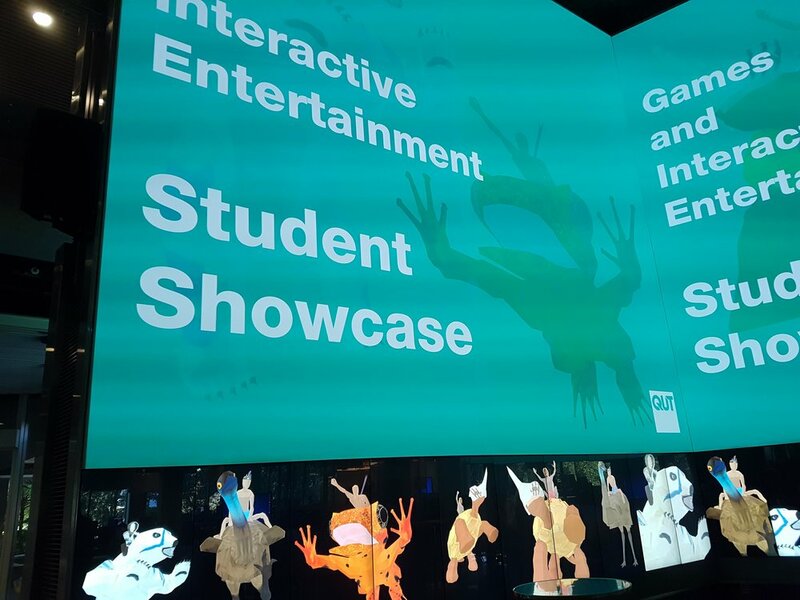 Nevertheless, QUT featured us on what they call ‘The Cube’ during their 2016 Games Showcase, which we were immensely proud of. Shortly after graduating, Primal Pursuit was one of the last games to make it through Steam Greenlight before Valve discontinued the system. This fact would determine the next few years of our lives as we continued to develop and polish the game into a complete package, which we can now happily release.